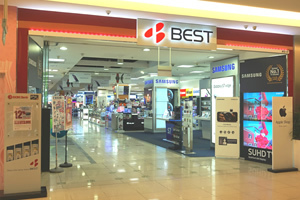 Overseas Business | ベスト電器｜BEST DENKI Co.,LTD. We have been actively expanding overseas business with a focus on Asia, since opening our first overseas location in Singapore in 1985. Currently, we are focusing our attention on the growing ASEAN region with business in three countries：Singapore, Malaysia, and Indonesia. Our rich experience in store management abroad will enable us to apply business models based on the local market characteristics. Since our first opening overseas, we have been actively recruiting local staff and have focused on training top-level executives. With our knowledge and vast network of locations abroad, we aim to promote partnerships with local businesses, and further expand our operations. 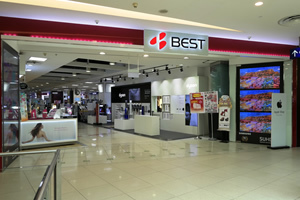 Since opening our first overseas location in Singapore in 1985, we have had operations at 9 countries including Hong Kong, Malaysia, USA, in the span of over thirty years. With our experience in respective local market, and perspective in “selection and focus”, we are now focusing our attention on the growing ASEAN region. Currently, we have established the BEST brand in the ASEAN region with our wealth of experience, manpower, and operation know-how. 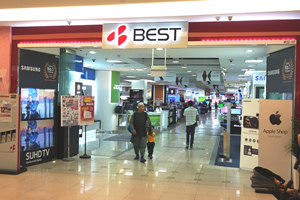 In the ASEAN region, we have been successfully and actively expanding overseas businesses, with many shops in Singapore, Malaysia, and Indonesia. With an aim of opening 100 overseas shops, we positioned Singapore as our hub for ASEAN business development headquarters. The Singapore headquarters will achieve the goal of not only to further develop our existing businesses, but to expand our operations into new countries as well.